Protests against police violence take many forms, from kneeling during an NFL game to rising up for a Black Lives Matter march. But a group of San Francisco State University students have been taking a quiet, behind-the-scenes approach — and just scored a major victory. After years of effort, they’ve persuaded the American Public Health Association (APHA), the largest public health organization in the world, to adopt a policy recognizing police violence as a public health issue. Three years ago, three students in San Francisco State’s Master’s of Public Health (MPH) program began working to convince the APHA to adopt a policy recognizing the disproportionate impact police violence has on marginalized communities. The students had met an activist who focuses on police violence at an APHA meeting in Chicago who suggested working together to draft a policy. 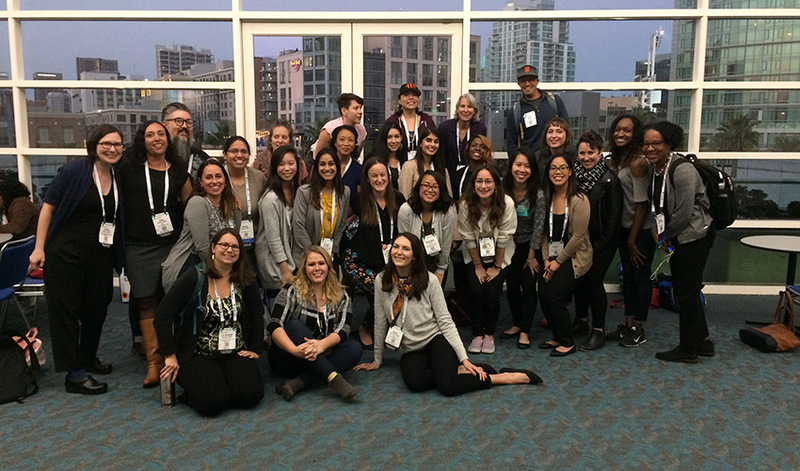 The students traveled around the country, speaking to APHA leaders and conducting countless conversations with various APHA caucuses, according to Liz Kroboth, an SF State health education faculty member. It was Kroboth who drafted the first version of the policy statement while a student in 2016; nine revisions followed. The students attended the APHA’s Joint Policy Committee hearings at each annual conference in hopes of getting the latest version approved. Thanks to their persistence, in November the APHA adopted the statement. “We were inspired to take the viewpoint and issues of Black Lives Matter and many other organizations into the public health sphere because we felt like the public health world wasn’t paying enough attention or taking action,” explained Kroboth. The statement calls on Congress to fund the National Institute of Justice (the research arm of the U.S. Department of Justice) and the Centers for Disease Control and Prevention to study the health consequences of law enforcement violence, with a particular focus on the disproportionate impacts on people of color, people with disabilities or mental illness, people living in poverty or who are homeless, immigrants and the LGBT population. As a result, says Assistant Professor of Criminal Justice Studies Cesar Rodriguez, policymakers will now feel greater pressure to adopt evidence-based approaches that mitigate police violence. “[They must now] pursue community-based, non-punitive strategies to improve public health, public safety and grassroots democracy within historically aggrieved communities,” said Rodriguez, who offered advice to the students as they worked on a final draft of the policy. Sophia Simon-Ortiz, a lecturer in health education who also worked on the policy as a student, hopes the policy will support the work of groups working to address the disproportionate impacts of police violence and imprisonment on communities of color and others. “We hope this will be a tool in the toolbox for the work they are already doing. The statement adds to the power and reach they can have in making structural changes in the communities most impacted by these issues,” said Simon-Ortiz. Jade Rivera, associate director of student services for SF State’s Metro College Success Program, also worked on the policy as a student. Her advice to others looking to effect change is to have a clear vision of the world they want to see. “You need to map out what a just world would look like and believe we can achieve social justice in our lives,” she said.